This is the 3rd post in our series on the Qualitative Assessment of all 2018 NBA Presidential Candidates. Our aim is to critically evaluate the profiles of these candidates in order to give lawyers the opportunity to carefully peruse their background and get insights into their candidacy. 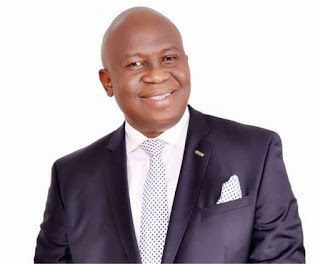 In this 3rd part of our analysis of the profiles of all 4 (four) NBA Presidential Candidates, we shall be examining their NBA commitments and activities so far. As Bar men, all four candidates have participated in various activities of the NBA, both at the Branch and at the National Levels. Our first analysis and assessment covered the Background of all candidates in this post, while the 2nd part covered their contributions to law reforms and also the welfare of lawyers in this post. Please note that all information provided has been sourced from the profiles of the candidates as provided online. Through this series, lawyers will be able to identify who the best man for the job is. 1. Member of the National Executive Committee (NEC) of the NBA and attends most NEC meetings. 2. Member of the NBA Legal Profession Regulation Review Committee. 3. The pioneer Chairman of the Communications Committee of the NBA Section of Business Law (“SBL”). 4. Attended the NBA Legal mission to the UK Bar Standard Commission and Solicitors’ Regulatory Authority to understudy their system in 2017. 5. Fully sponsored the Elders’ Night of NBA Lagos Branch 2017 Law week and routinely sponsors Lagos Bar events. 6. PUC was the sole sponsor of one of the most attended Break-out sessions at the 2017 NBA Conference: “Emerging Trends in Global Legal Practice”. PUC paid for travel costs of the four (4) foreign speakers at the session. 7. Hosted entire delegates to NBA NEC Meeting held in Uyo, Akwa Ibom State in November, 2017. 8. Member, planning committee, November 2017 NEC Meeting. 9. Chief organizer and major sponsor of the Akwa Cross Dinner for delegates to the NBA AGC held in Calabar. 1. 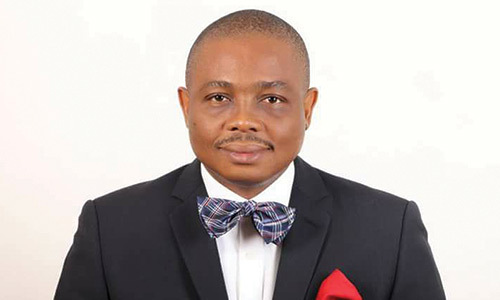 Chairman, NBA Aba Branch 1997 – 1999. 2. Secretary, NBA Aba branch 1992-93. 3. Chairman, NBA Law Reform Committee 2003 to 2004. 4. Chairman, NBA Academic Forum 2006 to 2010 & 2012-2014. 5. Chairman, NBA Editorial Committee 2006-2008. 6. Chairman, NBA Legal Education Committee 2006-2008. 7. Chairman, NBA Strategic Plan Working Group 2012. 8. 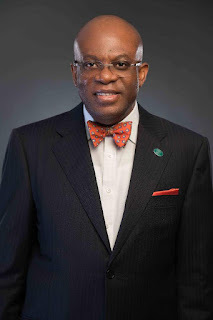 Project Director, NBA Institute of Continuing Legal Education (Set up the Institute of Continuing Legal Education and commenced the MCLE as the Pioneer Director) 2006 to 2010; and 2012- 2014. 9. Alternate Chairman, 2003 NBA Annual Conference Planning Committee; Alternate Chairman/Editor-in-Chief, Editorial Board Nigerian Bar Journal, October 2002 to 2004. 10. Alternate Chairman, NBA Summit on the future of legal education in Nigeria 2006. 11. Member, NBA Special National Committee on Abuse of Executive, Legislative and Judicial powers, 1998 to 2000. 12. Member, Joint working committee of the NBA & CLEAN on continuing legal education for practicing members of the legal profession August 1999 to 2000. 13. Sole Member, NBA Standing Sub Committee to investigate complaints against legal practitioners October 1999. 14. Member NBA Legal Education Committee, 2002 to 2004. 15. Member, Steering Committee of HURILAWS-NBA National Action Plan for justice sector reform in Nigeria, 2002. 16. Member, 2002 NBA Annual Conference Planning Committee. 17. Member, NBA Practicing fee, stamp and seal committee, Jan 2003 to 2004. 18. Member, NBA Committee on the state of the NBA, March 2005. 19. Member, NBA Special Committee on the Review of the Rules of Professional Conduct 2006/07. 20. Member, NBA Working Group on the Review of the Legal Practitioners’ Act and Council of Legal Education Act, 2011. 21. Pioneer Chairman/Founder, NBA Eastern Bar Forum (EBF) 2004-2011. 22. Member of the National Executive Counsel of the NBA. 1. Member, Legal Profession Review Committee. 2. Chairman, Resource Committee of the NBA. 3. Chairman, NBA Disciplinary Committee for Anambra, Enugu and Ebonyi States. 4. Member, Land Committee of Nigerian Bar Association, Onitsha Branch 2009. 5. NBA Representative on NEITI Civil Society Steering Committee. 6. Chairman, NBA Legislative Advocacy. 7. He was recently appointed Chairman of the Administration of Criminal Justice Reform Committee of the Nigerian Bar Association. 8. Member of the National Executive Committee (NEC) of the NBA. 10. Member, Council of Legal Education from 2015 till date. 11. Member, Legal Aid Council of Nigeria – from September 2014 – 2016. 12. Member, General Council of the Bar – from 2015 till date. 13. Life Member, National Executive Committee of NBA. 14. Member, Elders Committee, NBA Abuja December 2010- August 2015. 15. Life Member, Advisory Committee, NBA Abuja. 2. Member, Bar Dinner/Awards Committee – 2004. 3. Secretary, Committee on Continuing Legal Education – 2005-2007. 4. Secretary, Committee on Continuing Legal Education – 2009 -2011. 5. Alternate Chairman for the LOC of the NEC hosted by NBA Abuja Branch – June 2011. 6. Alternate Chairman of the LOC for the 2012 Annual General Conference. 7. Co-opted member of the TCPC of 2012 Annual General Conference. 10. Prosecutor at the Legal Practitioners’ Disciplinary Committee of the Body of Benchers from 2012 -2014. 11. General Secretary of the Nigerian Bar Association in 2014 and served till August 2016. 12. Publicity Secretary (PRO) of NBA Abuja, from 2006-2008. 13. Committee for the Review of High Court (Civil Procedure Rules) of the FCT- 2011- 2013. 14. Committee on the Review of ADR Laws and Rules – 2011 till 2013. 20. Member, Elders Committee, NBA Abuja December 2010- August 2015.